Kuredu Island Resort is famous for the abundant fish life in the crystal clear water surrounding it. 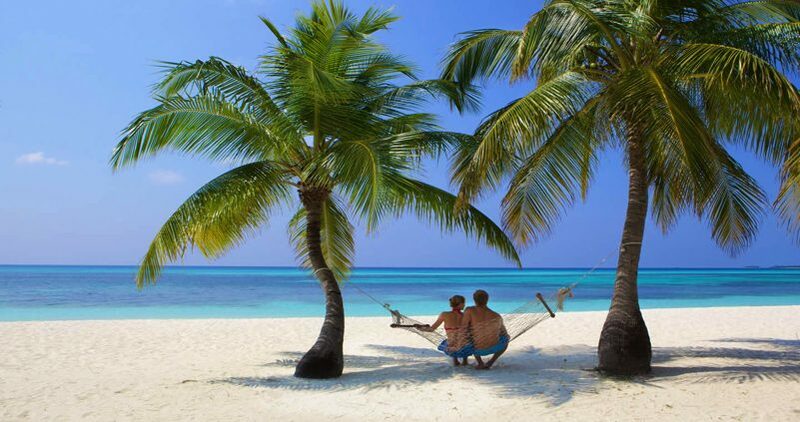 It is a fun, relaxed and friendly resort and one of the Maldives’ larger islands. It features a range of leisure amenities. It is big, but not too big and is also not too quiet, so you won’t get bored. The resort is very popular with divers due to its great location, it is easy to reach over 40 fabulous dive sites. It is a resort well known for its beauty and plentiful fish life. Located 80 miles north of the International Airport at Male and 35 minutes by seaplane. 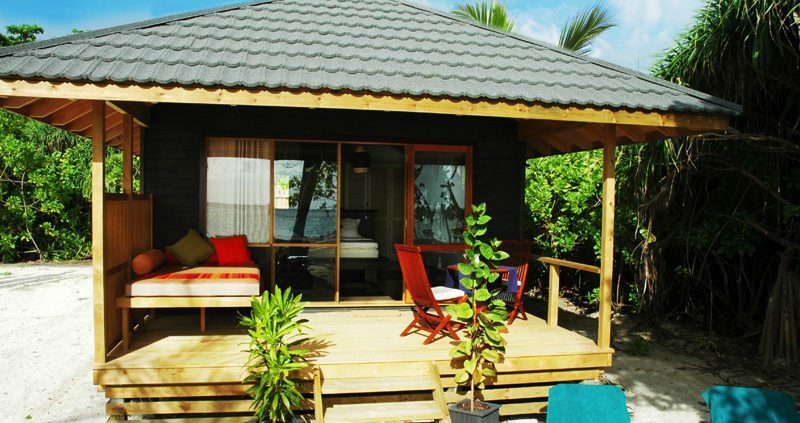 Kuredu Island Resort has a choice of interesting bungalows and villas. 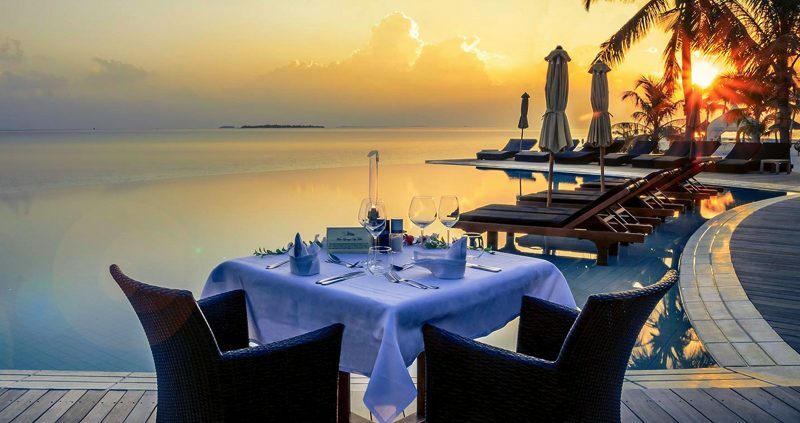 Garden, Beach Bungalows, Beach Jacuzzi Beach Villas, Sangu Water Villas and Sultan Pool Villas. 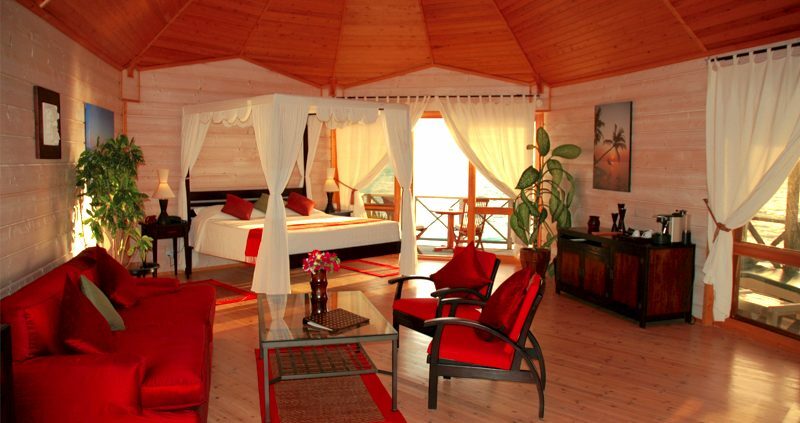 The wonderful Sangu Water Villa Suite has panoramic ocean views. With air conditioning, a ceiling fan, hairdryer, TV, CD player and tea & coffee making available. All the villas are only a few steps away from the sea and whichever one you choose, you will be delighted with. The Sangu beach and water villas are in an adult only area, giving you extra peace and quiet. The “O” Resort Area is for children aged 12 or older. Both of these areas have their own pools. There are four central restaurants, three à-la-carte restaurants, two coffee bars and five bars. You can even have room service if you want. 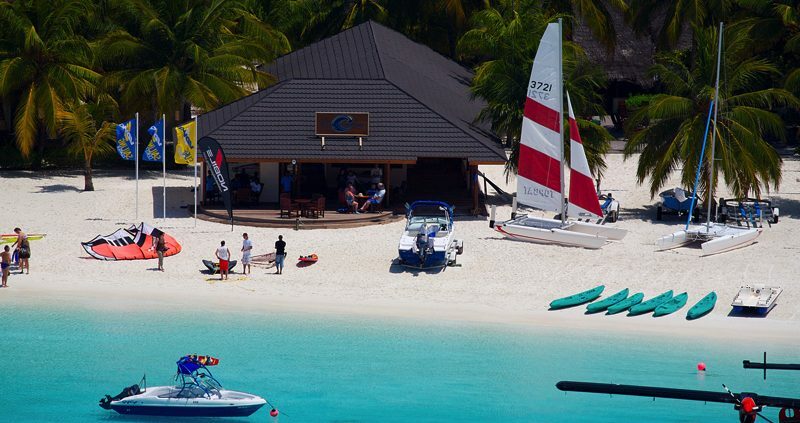 Make the most of Kuredu Island resort by choosing the All Inclusive Plus option. This includes beer house brand spirits, soft drinks, and a selection of cocktails. You also get a discount on all foods and drink in the a la Carte Restaurants. 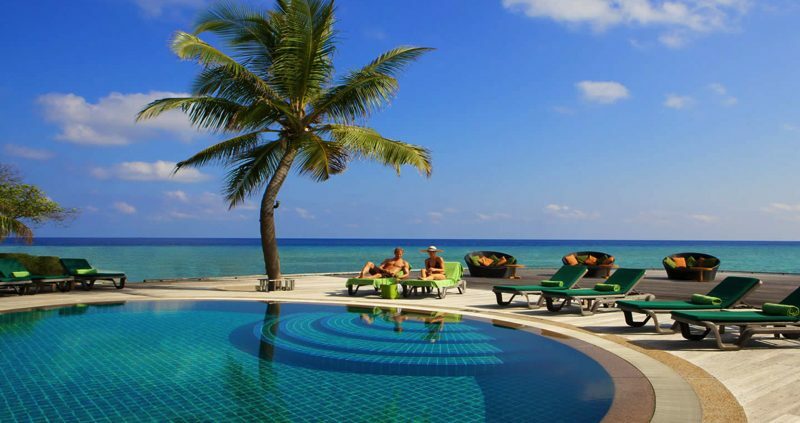 Kuredu Island Resort has plenty to keep you busy, from a newly introduced a 6 hole pitch and putt course, (par three) a fully equipped gym, Tennis, Football, Badminton, Table Tennis and Beach Volleyball, water sports centre, 2 pools and a pool for children. There is a PADI dive school, offering a great diving service and a dedicated snorkeling centre. There are over 40 dive sites and snorkeling sites nearby. Once you have tried all these, how about relaxing in the Duniye Spa which has a natural approach to your wellbeing, giving you a wonderful experience. Pure bliss.